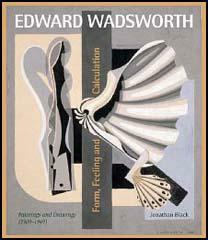 Edward Wadsworth, the only son of Fred Wadsworth and Hannah Smith, was born at Cleckheaton, West Yorkshire, on 29th October 1889. His mother, who was an amateur painter, died of puerperal fever soon after giving birth to Edward. His father was a worsted-spinning industrialist who owned the firm E. Wadsworth & Sons. After schooling at Fettes College, he left for a year in Munich (1906–7) to learn machine draughtsmanship and the German language. At the Knirr School of Art he experimented with printing, woodcutting, painting, and non-technical drawing and decided he wanted to become an artist. This upset his father who expected him to take over the running of the family firm. In 1908 he went to Bradford School of Art, and the following year won a scholarship to the Slade School of Fine Art. He made friends with a group of very talented students. This included C.R.W. Nevinson, Stanley Spencer, John S. Currie, Mark Gertler, Maxwell Gordon Lightfoot, Adrian Allinson and Rudolph Ihlee. This group became known as the Coster Gang. According to David Boyd Haycock this was "because they mostly wore black jerseys, scarlet mufflers and black caps or hats like the costermongers who sold fruit and vegetables from carts in the street". Nevinson argued in his autobiography, Paint and Prejudice (1937) commented that the Slade "was full with a crowd of men such as I have never seen before or since." Edward Wadsworth was a very talented artist and won first prizes for landscape in 1910 and for figure painting in 1911. He was considered to be one of the leaders of the Coster Gang. The author of A Crisis of Brilliance (2009) has argued: "They all had their own theories on how great art could be produced, with Maxwell Lightfoot and Edward Wadsworth amongst the most fervent in advancing their ideas and advising their peers." One of their teachers, Henry Tonks, recognised their talent but found them too rebellious and later commented: "What a brood I have raised." Stanley Spencer claimed that discussions about art would go on "for ages every day". Wadsworth did not think Spencer knew enough about "Art" and so advised him to give it up altogether, explaining: "I have had experience; you have not. I have passed through all the stages an artist can go through." Spencer later argued: "Wadsworth is a horrible man to me... it was more or less through listening to these people's rubbish that made me so prejudiced against thought in every way." In June 1914 a group of artists published the Vorticists Manifesto. This included Edward Wadsworth, Percy Wyndham Lewis, David Bomberg, C.R.W. Nevinson, Henri Gaudier-Brzeska, William Roberts, Alvin Langdon Coburn, Malcolm Arbuthnot, Lawrence Atkinson, Frederick Etchells, Cuthbert Hamilton, Jessica Dismorr, Helen Saunders and Dorothy Shakespear. Wadsworth married a violinist, Fanny Mary Eveleigh, and during the First World War he served the Royal Naval Volunteer Reserve as an intelligence officer on the Greek island of Mudros. Later he was employed on the dazzle camouflage campaign. This was a paint scheme used on ships during the war consisting of a complex pattern of geometric shapes in contrasting colours, interrupting and intersecting each other. It did not conceal the ship but made it difficult for the enemy to estimate its type, size and speed. The idea was to disrupt the visual rangefinders used for naval artillery. 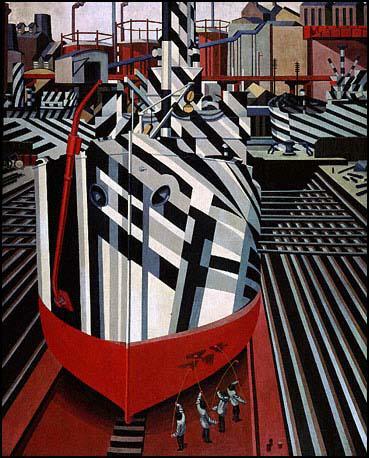 Edward Wadsworth, Dazzle-Ships in Drydock at Liverpool (1919). In 1920 the Leicester Galleries gave Wadsworth his first one-man show. 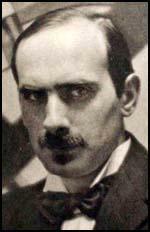 The death of his father in 1921 made him a very wealthy man. He no longer had to worry about selling his paintings. His biographer, Mark Glazebrook, has pointed out: "Between 1923 and 1929 he produced a superb series of tempera paintings of ports and little seaside harbours. They were first classical, then rococo in style. A group of sophisticated magic realist marine still-life paintings followed." In 1929 he moved to Dairy House in Maresfield, East Sussex. Edward Wadsworth died in Bayswater on 21st June 1949.